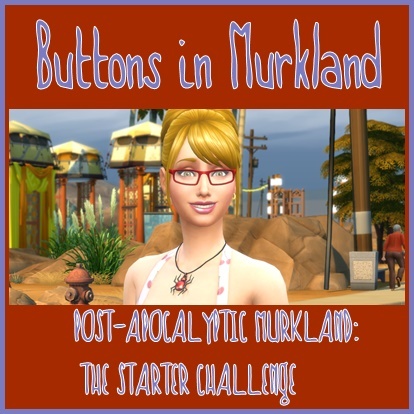 I'm trying out a new mini Rosebud challenge (sort of). 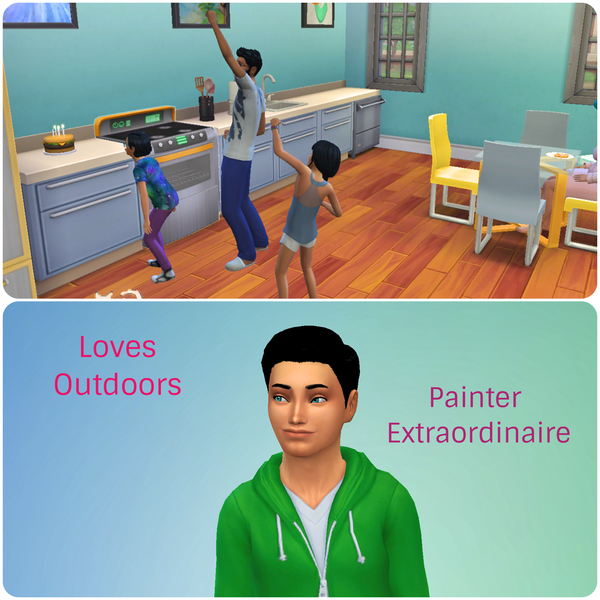 SimsByFairy creates gorgeous Sims and uploaded Indigo, who is a lover of the outdoors and has a few goals in life. 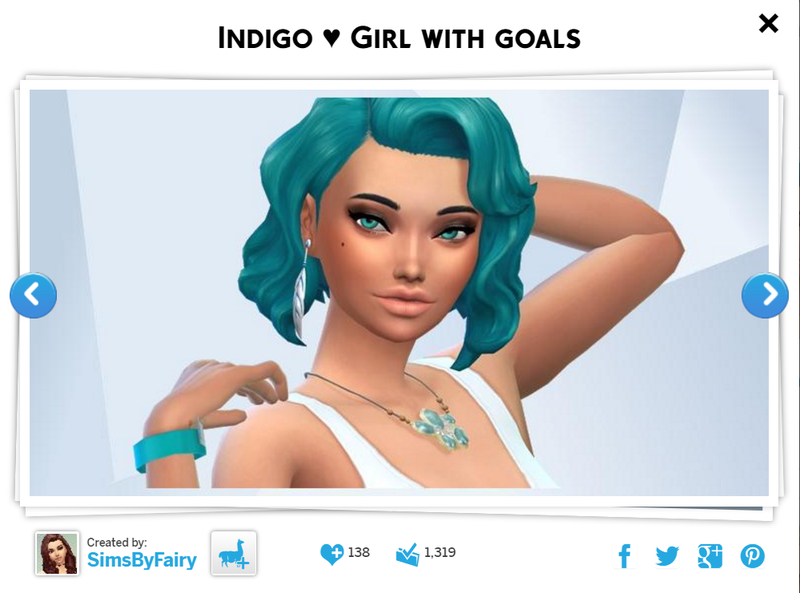 TEXT: "A sim with goals: Indigo starts from scratch with 0 simoleons! 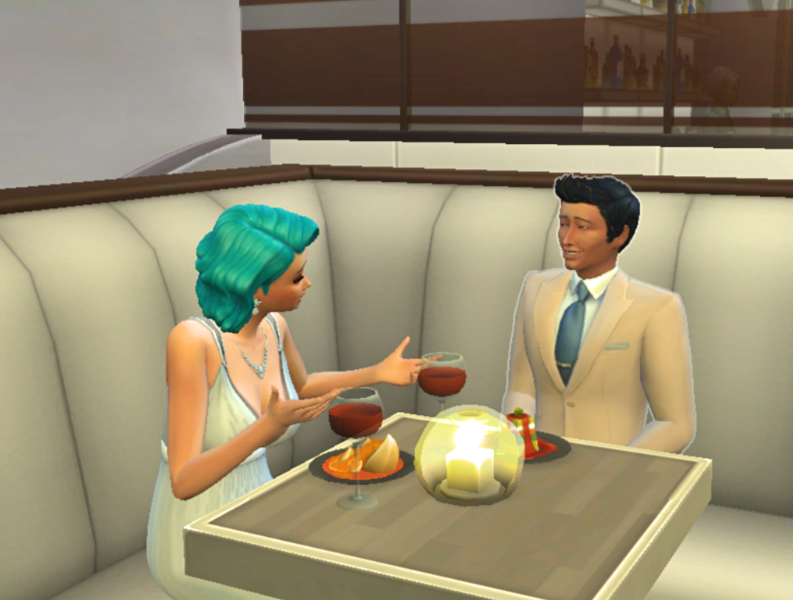 She wants to complete the freelance botanist and the curator aspiration. 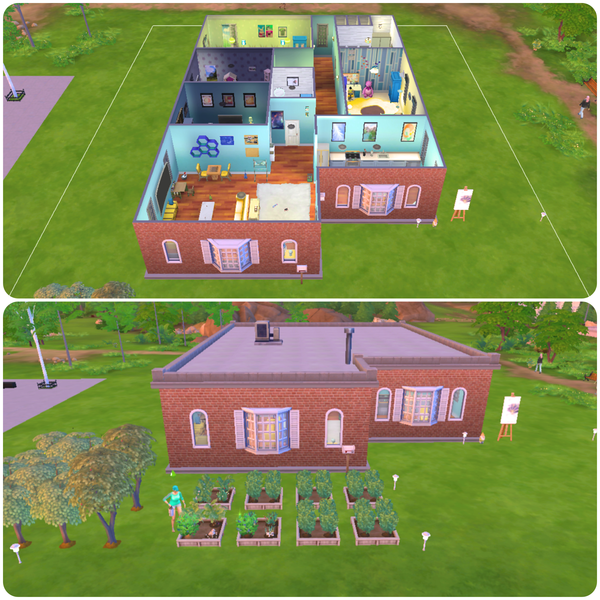 A home worth 100.000 simoleons and a garden with 10 perfect blackberry bushes. She also wants to max these skills: Gardening, cooking, fishing and charisma. She wants at least 3 baby girls and 2 boys! Not necessarily with the same man (we have to be realistic, right) No time for a job but can easy earn money from gardening, and painting"
Since I rarely every complete collections, I thought it would be a good challenge to jump into. Here is my progress so far. 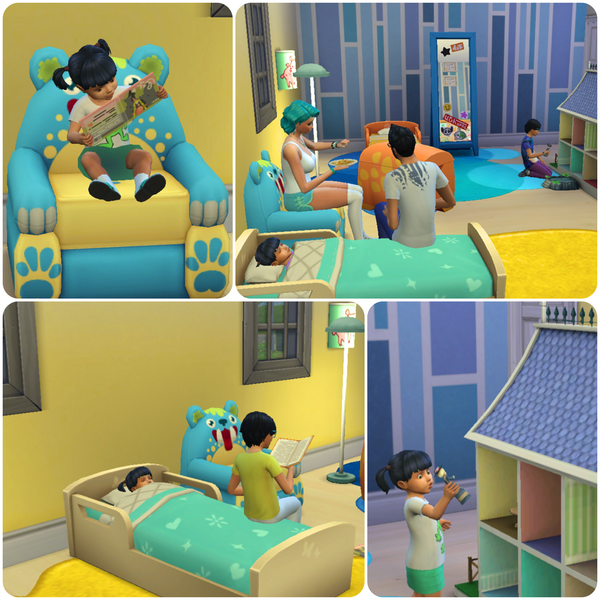 Indigo spent a lot of time hanging in the building at San Myshuno's park to gain painting skills and take lots of naps. 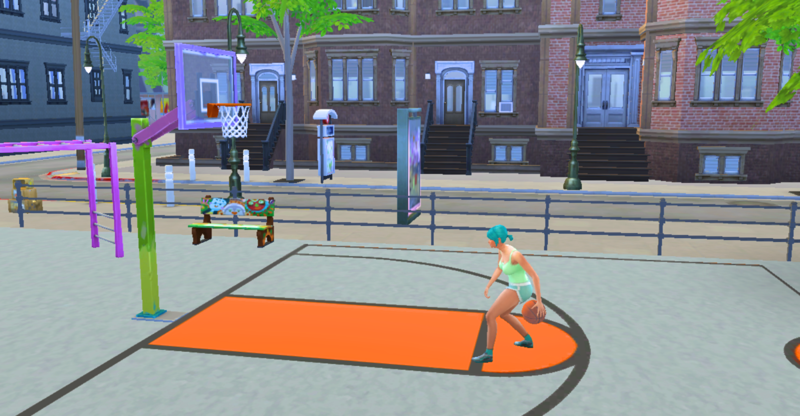 It also helped to gather as many simoleons as possible to finally be able to buy a few necessities for her lot. Good thing she loves being outside! 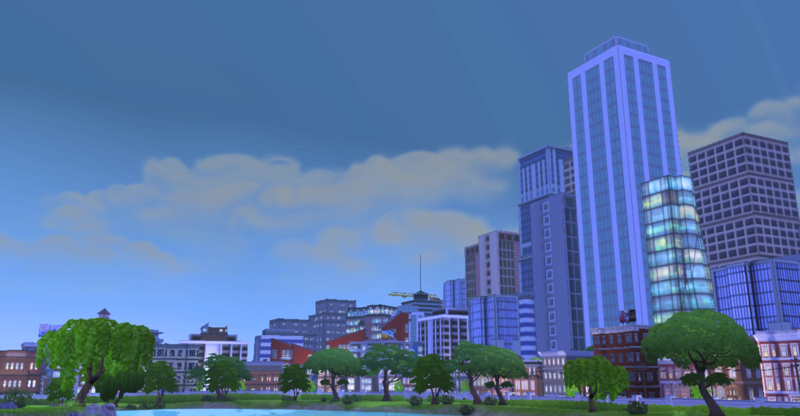 The best thing about the curator aspiration is all of the great vistas your Sims get to enjoy. 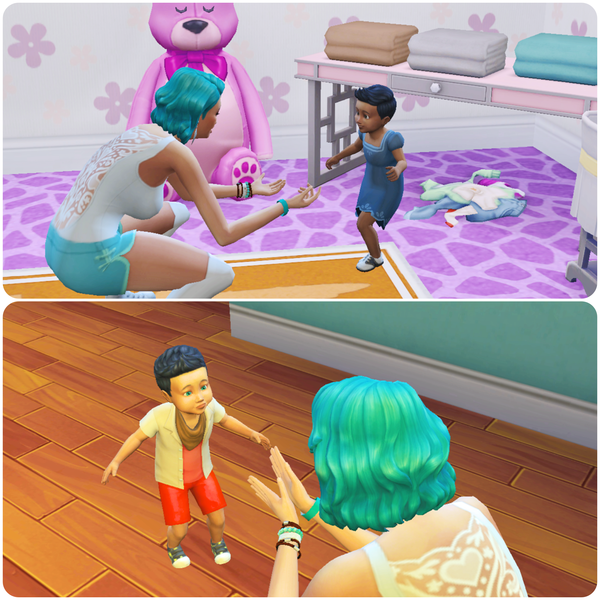 Because there are a variety of skills/aspirations to complete, I had to give Indigo the potion of youth a couple of times because I'm going to have her final challenge be the big family goal. 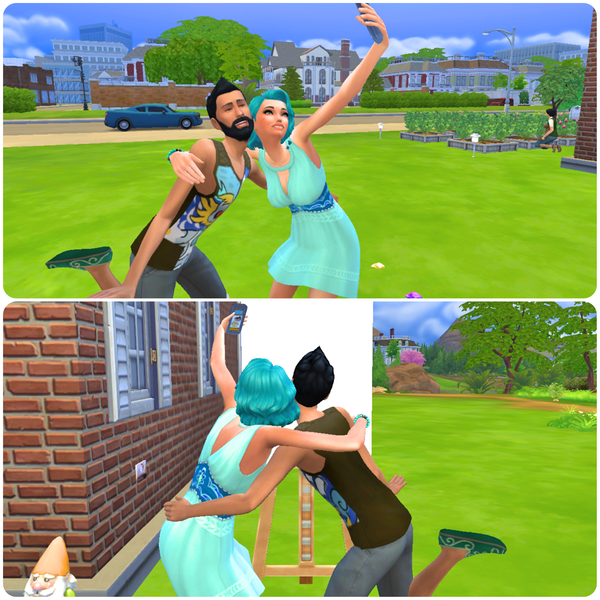 So to ease her of any loneliness, she found a sweet guy from an old Rosebud family of mine, Ethan Hughes. 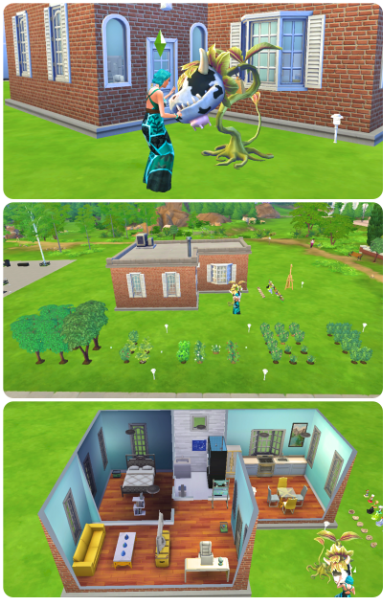 The freelance botanist aspiration is complete; she has maxed the gardening skill and is only two levels away from ten perfect blackberry bushes. 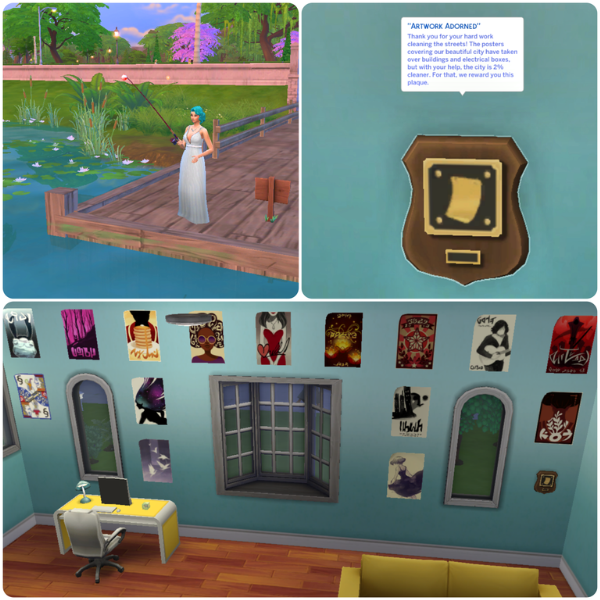 The curator aspiration is ALMOST finished (four My Sims trophies away!). 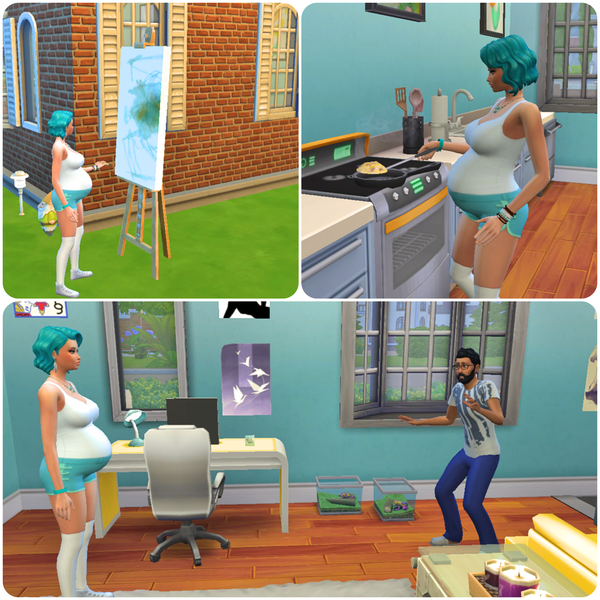 As soon as it is, she'll continue to work on escalating the house's worth and having lots of babies! Pretty Sim. Beautiful vistas. Wow. 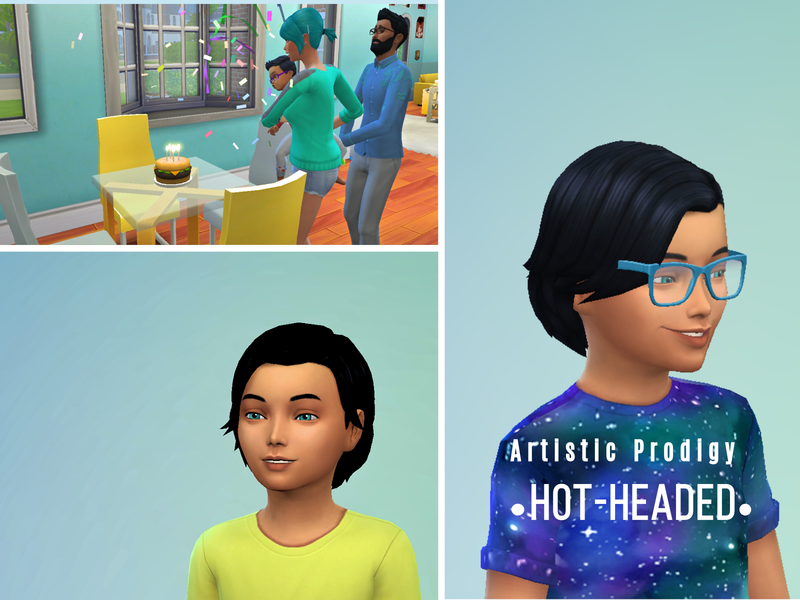 I have been working SO HARD with this Sim. It took me AGES to complete a collection for the Curator aspiration. 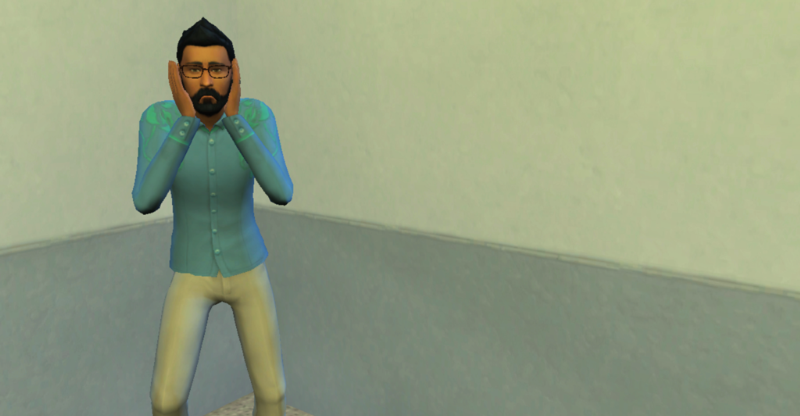 Those last two My Sims trophies never appeared, and the rocks were spawning around the worlds in smaller and smaller quantities. I decided to abandon that particular collection after she was almost through her THIRD young adulthood. lol. 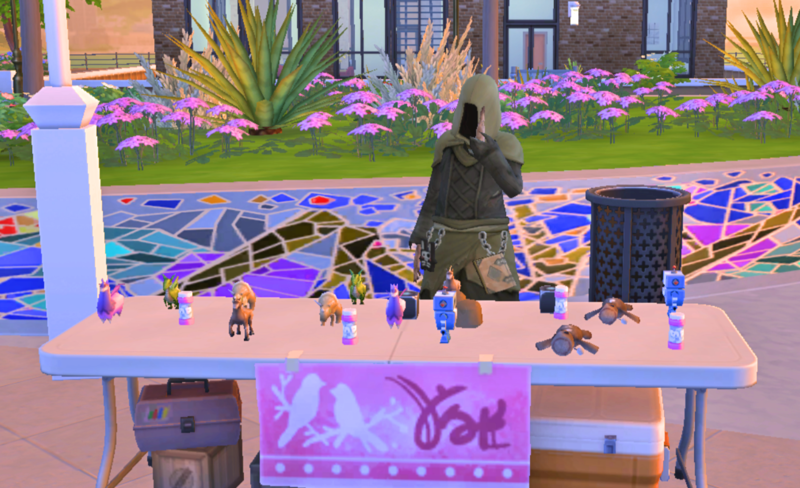 So, I had her scour San Myshuno for posters. 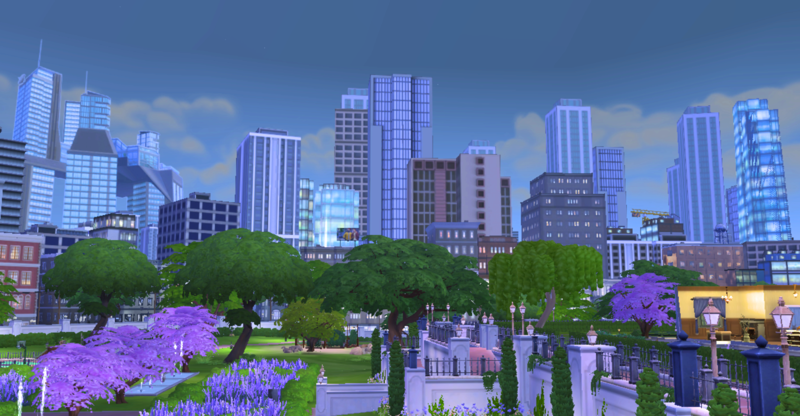 Been playing TS4 for two and a half years and still can't get over how gorgeous this game is. Finally, it happened! 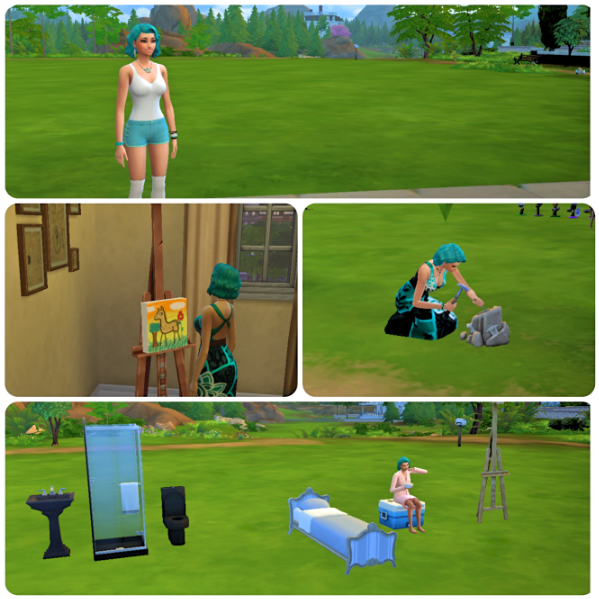 After YEARS of curating items, she maxed the fishing skill, completed the poster collection, and was awarded a plaque from the government of San Myshuno. She spent a weekend enjoying her achievements and getting prepared for the next phase of her life. After so much travel and saving her hard-earned money, she was ready to settle down and become a home-body. She wanted to live out the rest of her years doing the things she loved with a family - painting, gardening, and passing on her worldly knowledge to her children and building a legacy. As much as she liked Ethan, she knew that he wouldn't be able to marry her and start a family due to him nearing the elder stages of life. So she went out with him one last time to celebrate their friendship. And boy was the next phase of life ready for her! On the last night of her celebratory vacation, she visited the city's Art Center for fun and inspiration and met Ali, who loved the arts, books, and enjoyed family. They hit it off instantly and things sped off from there! They spent a few quiet days at home before any new additions came along. Blackberry bushes? 10 bushels of perfect quality! 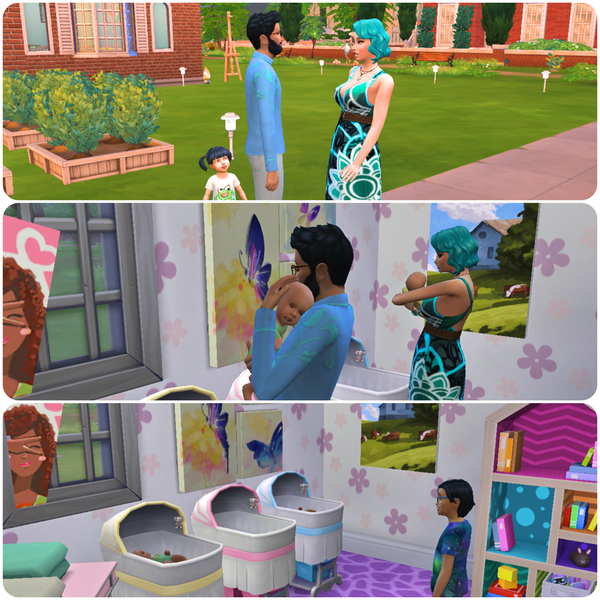 Now it is time to work on having three girls, two boys (which shouldn't be a problem since I gave her one more potion of youth and the fertile reward trait), and working to build the house worth. Gotta keep you on your toes! The first addition to the family is Mr. Lleyton Indigo. 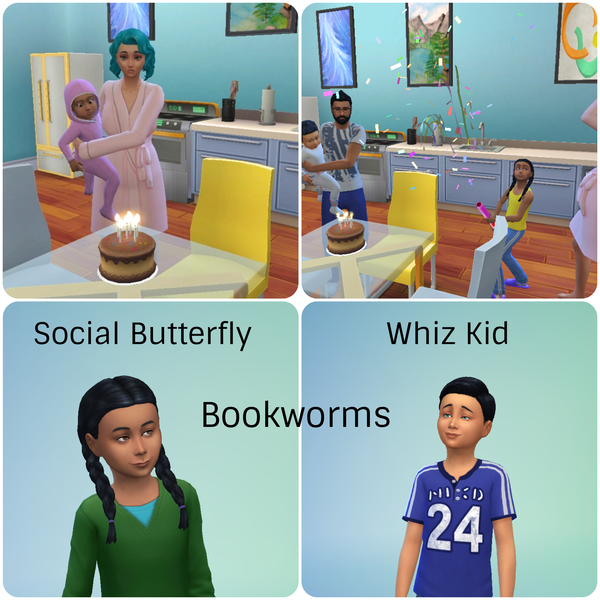 (I changed the kids' last names to Indigo in honor of the challenge). He was an independent tot with a streak of defiance. And he inherited his mommy's eyes! 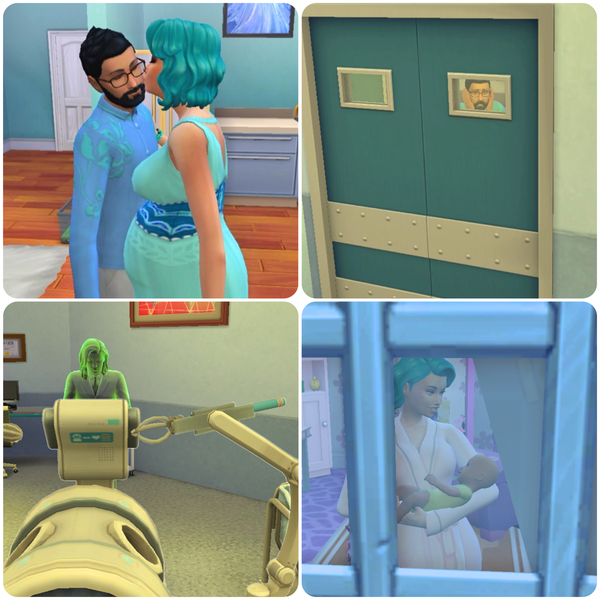 Before you know it, another little one is on the way, along with Dad Panic happening through the hospital doors. Lleyton aged up into a gorgeous little kid. Looks like we're going to have a heartbreaker on our hands! 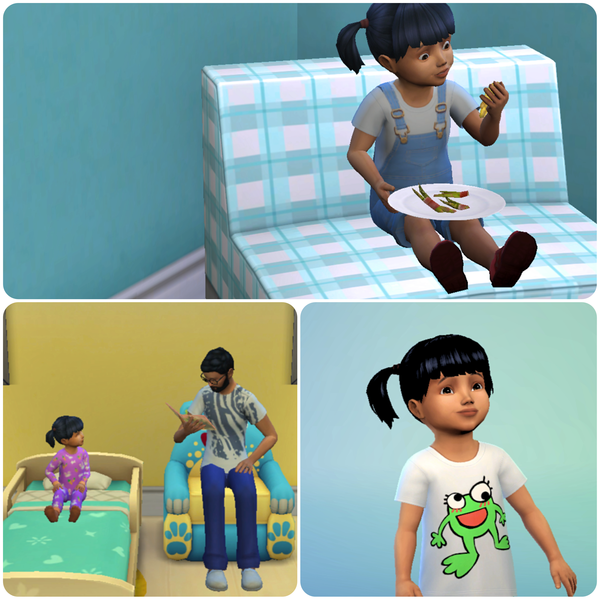 And Meredith Indigo, who took after her brother with an independent nature, became a toddler! Two girls and one boy to go. The fertile trait hasn't reared its head yet, but I have a feeling the third time won't be a charm for me. I can feel triplets coming. And lastly, a nice achievement was met by Indigo. Great job! Location : In my own little world. Thanks, all! I'm excited to see how large and successful the family gets! (Also, terrified. lol). 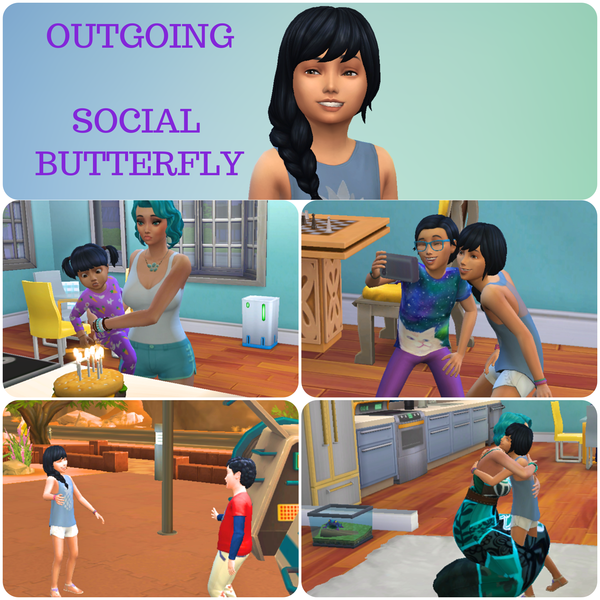 A few snapshots of family life. Like father, like son, they enjoy telling delightful stories to Indigo. And before you know it, it's Go Time again! 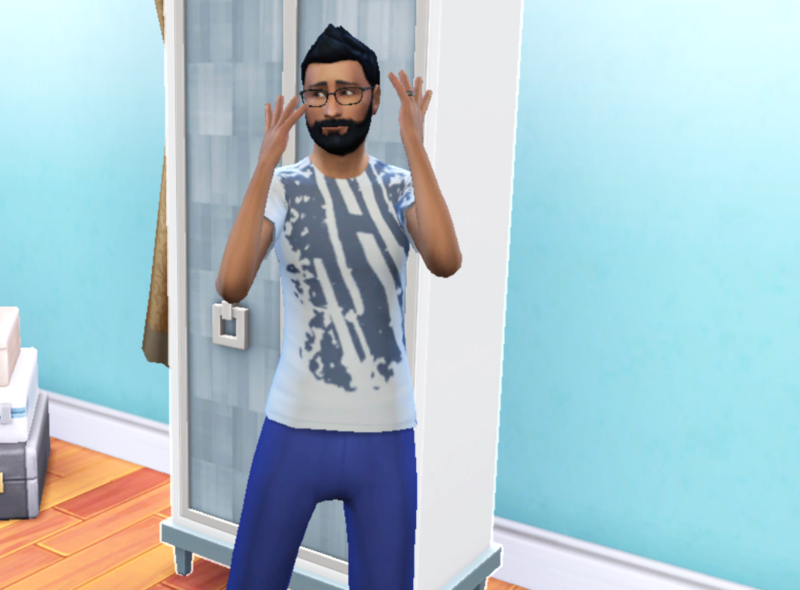 The reaction comparisons between Indigo and Ali when she goes into labor are hilarious. He does his usual panic dance, and she's like, "Dude, calm down. This isn't our first rodeo." Meredith wobbles out of the house after everyone gets back home from the hospital and babbles, "Did you bring anything good home?" Why yes they did - twins! 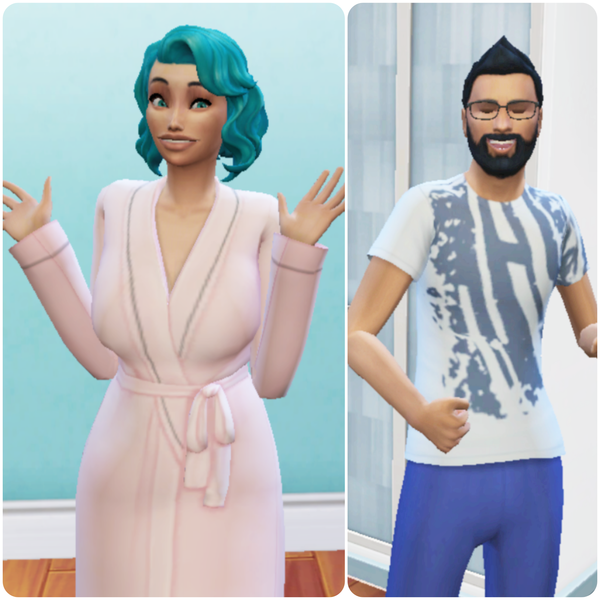 Meet Nina and Nathaniel Indigo. 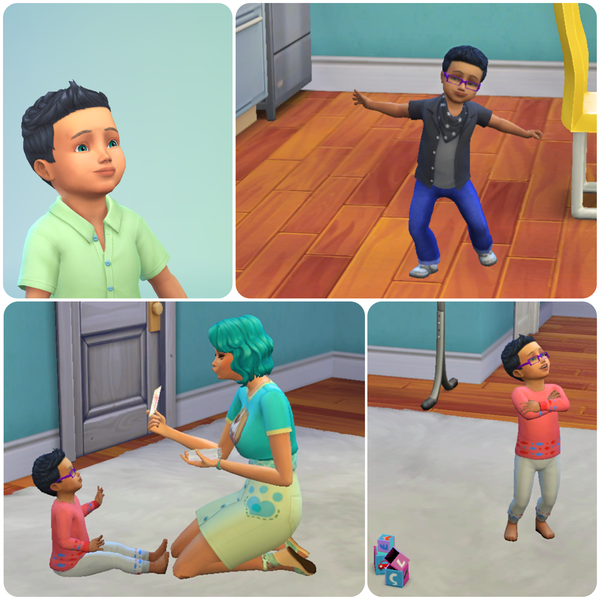 Nina is inquisitive and gets lonely when someone isn't helping her learn, and Nathaniel is a fussy one who likes to be held and talked to. Meredith ages up into a social kiddo! After celebrating so many birthdays and getting everyone settled into their new rooms, Indigo is exhausted. So Ali suggests she take a day off from the family to sleep and to enjoy taking care of her beloved garden. She even goes for a rejuvenating jog! In the meantime, he takes on twin-toddler duty alone with a little help from the eldest kids. After hustling through another week, more birthdays arrive! "Wait..... How many does that make it?" Only one more girl to have, and we'll have success! And oh my goodness, taking care of twin toddlers while also keeping tabs on two older kids is definitely a mental marathon! 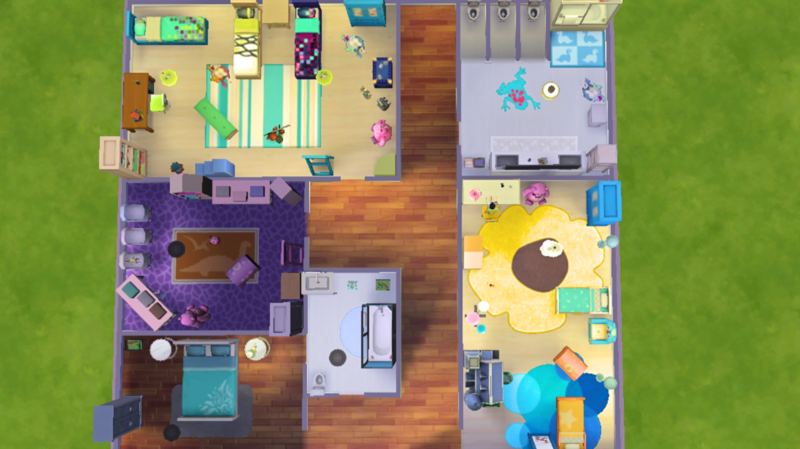 If twins happen again, that'll fill up the household to EIGHT. I know right?! lol. 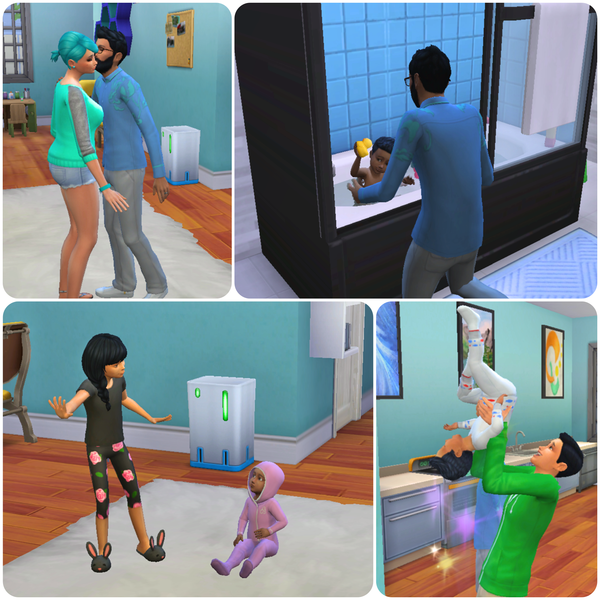 Taking care of the first set of twins was SO DIFFICULT. I would accidentally leave someone from the family alone in a room for hours because I had forgotten about them! If two more babies pop up, someone is probably going to get taken away or die because of the craziness. 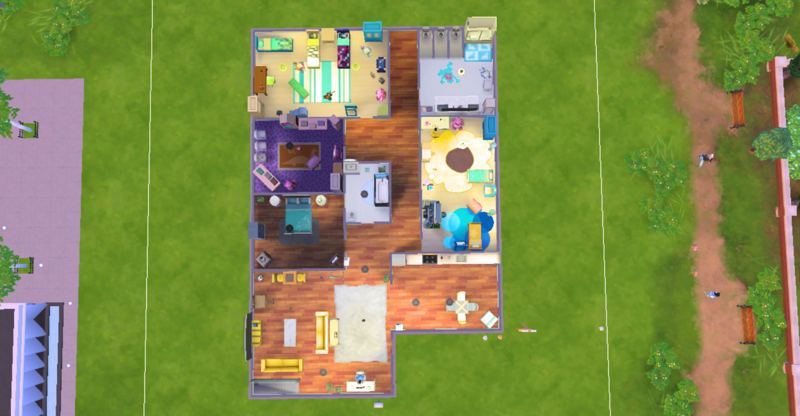 I tried to get a picture of how chaotic the house looked while trying to keep the family running over a weekend day when everyone is home, but no screenshot conveyed the insanity well enough to share. 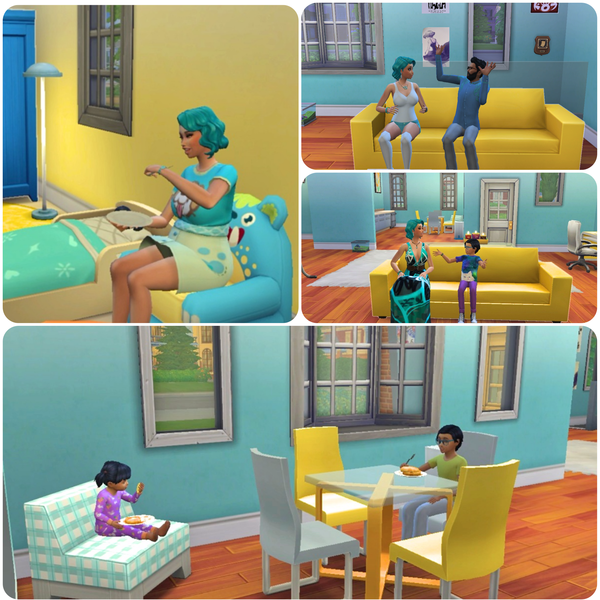 Are you planning on getting the Parenthood GO? You're doing wonderfully with your challenge. Thank you, @Gramcrackers! 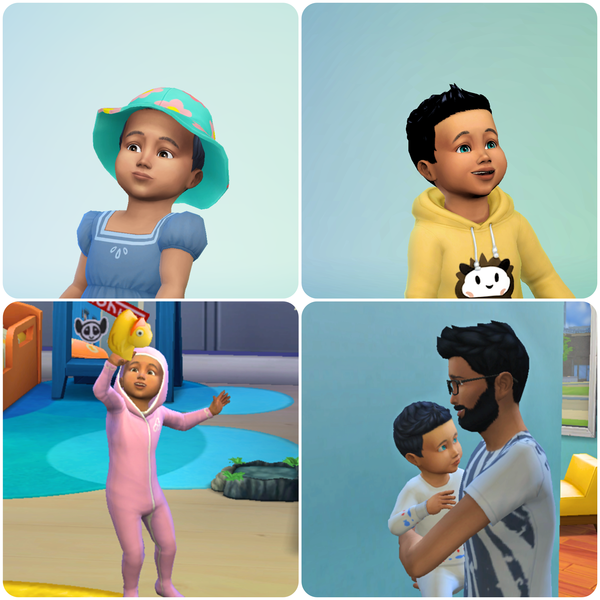 Indigo and Ali seem to have very nice genes! » A tickle challenge to a gatomon.